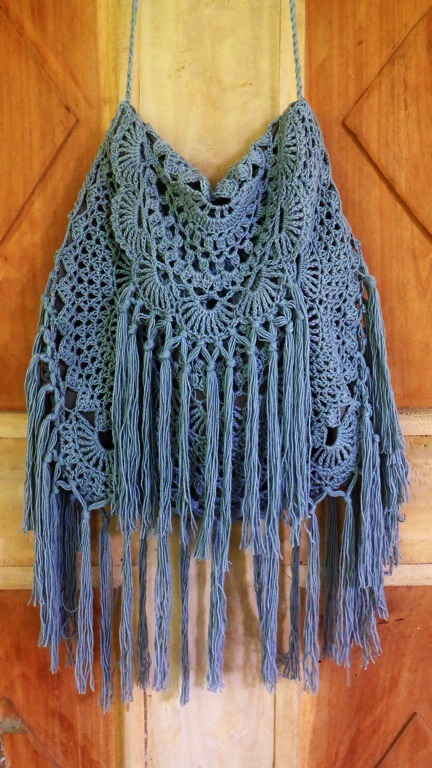 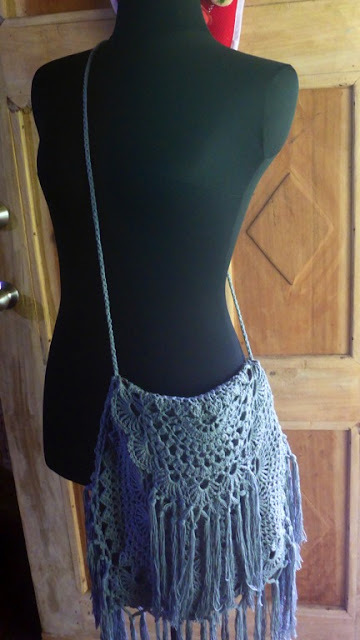 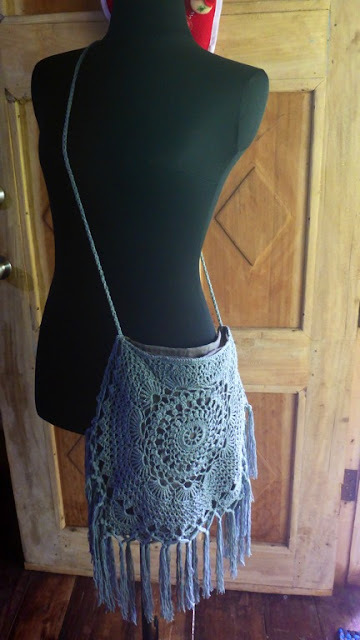 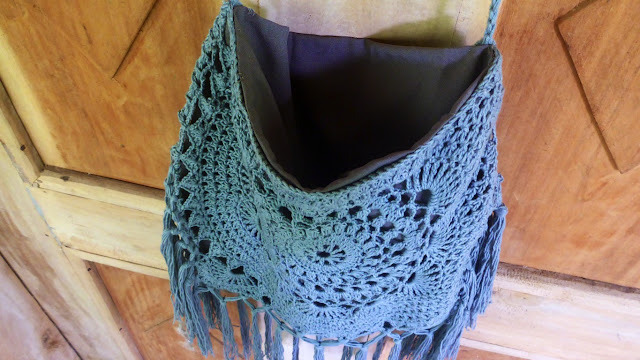 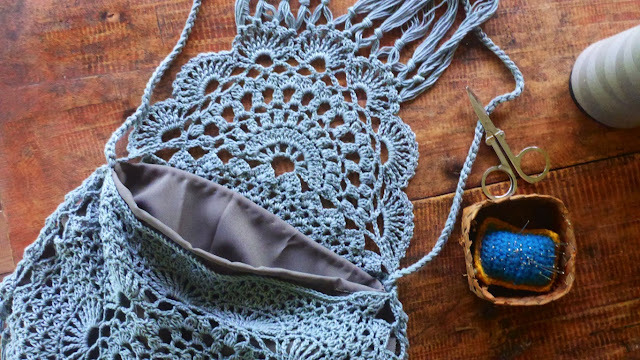 Some of you are probably familiar with this lovely crochet bag from Free People. 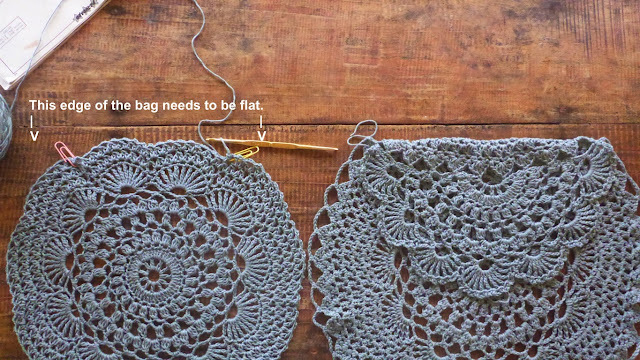 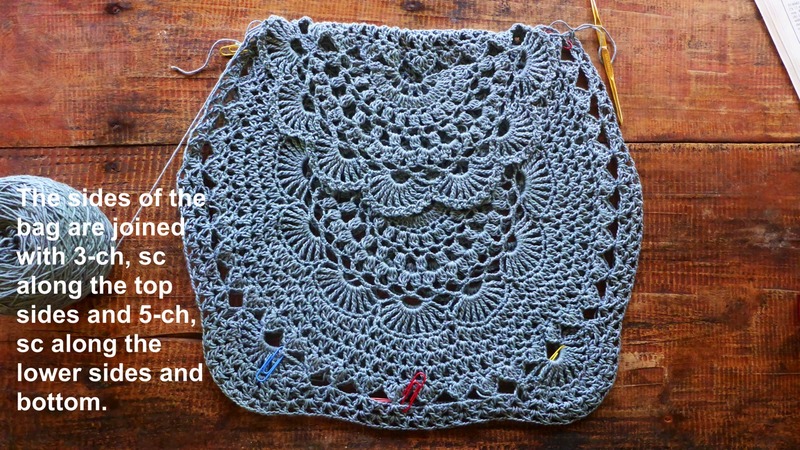 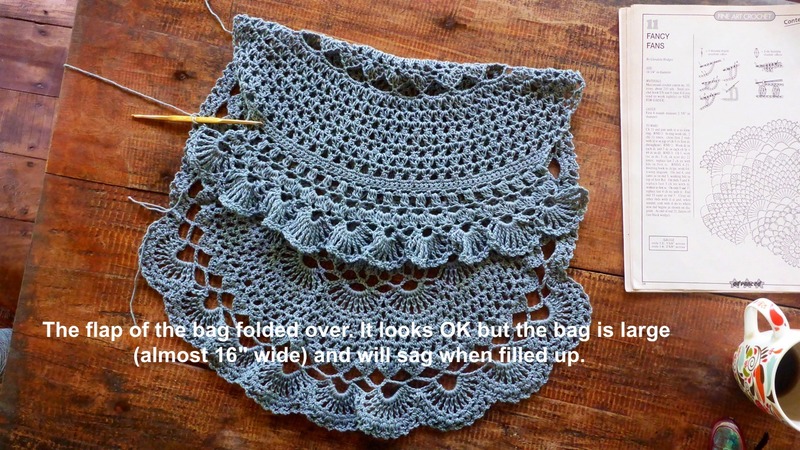 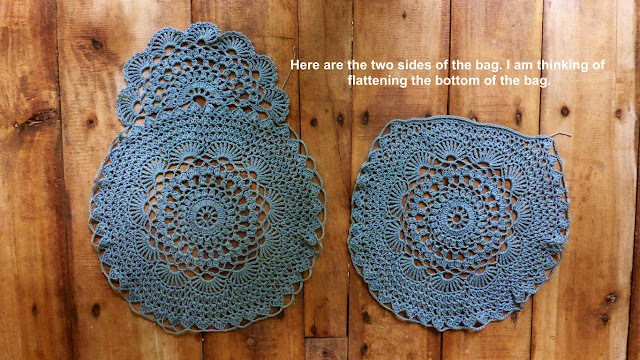 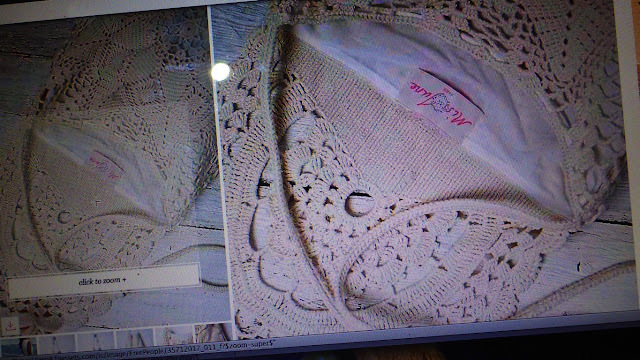 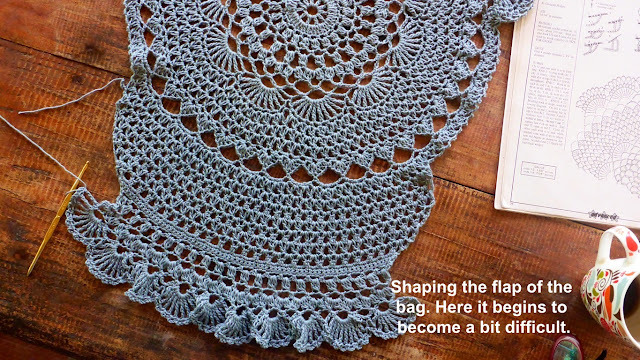 I thought maybe try make one- not exactly like it - but just the idea of using a doily pattern for the bag. 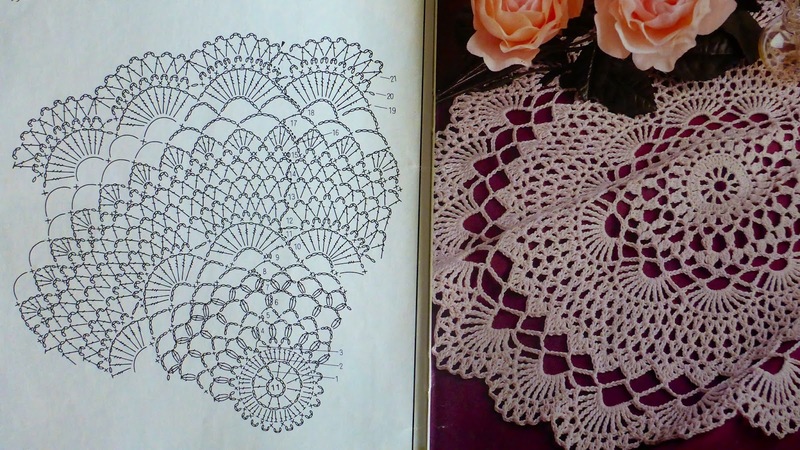 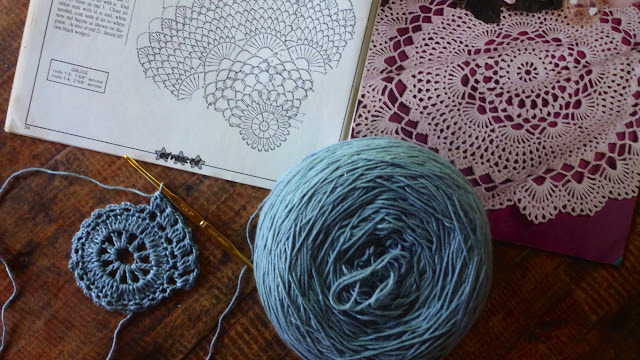 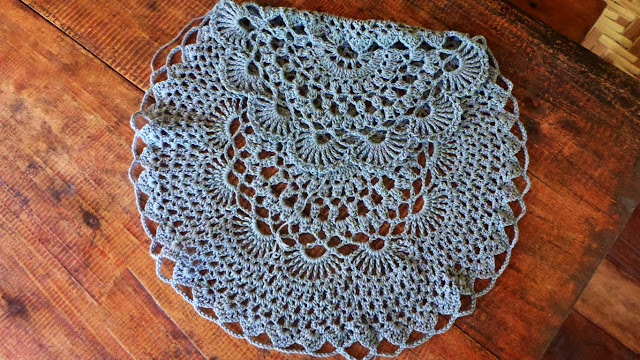 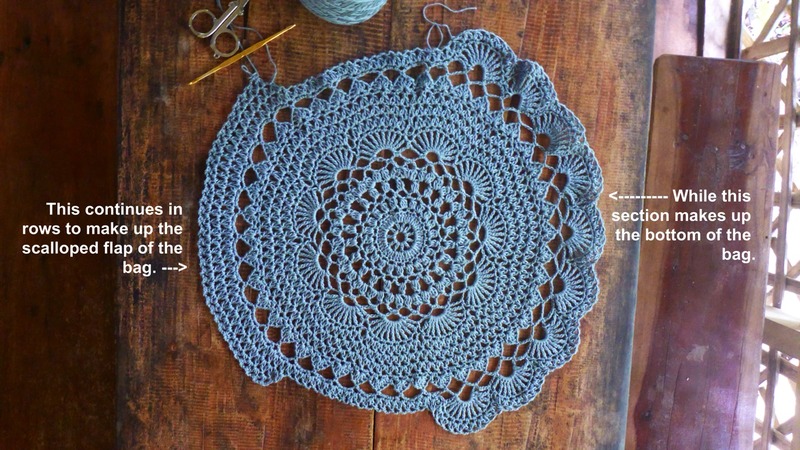 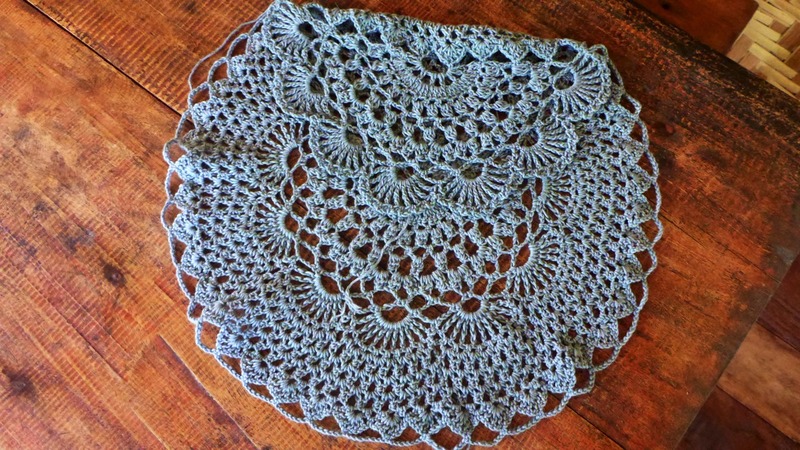 The doily I chose is from Magic Crochet magazine that a crochet friend gave a couple years back. 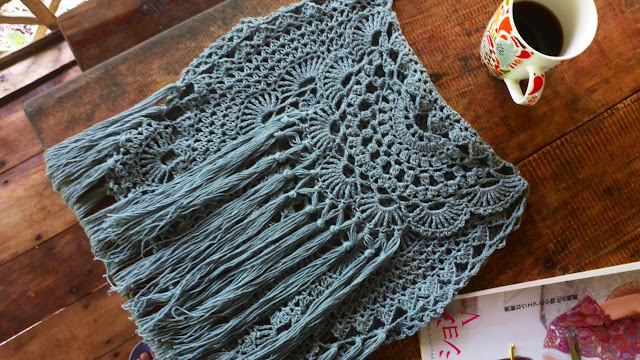 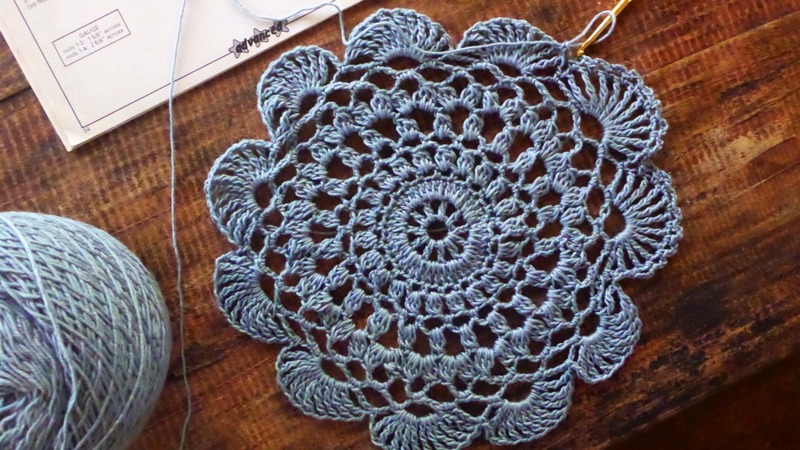 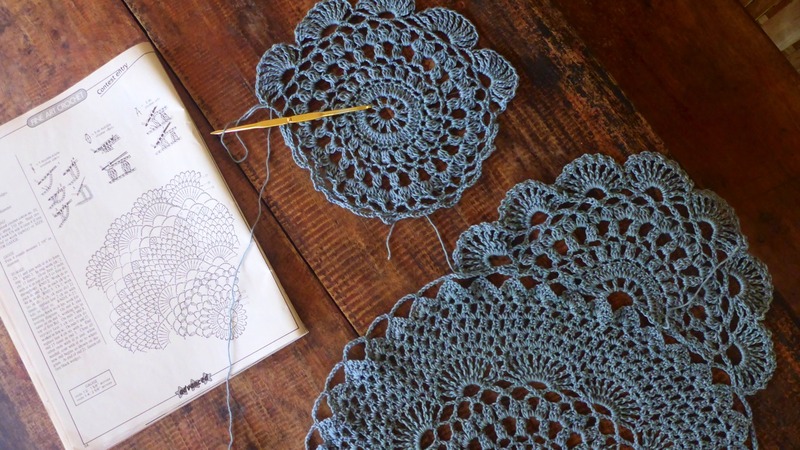 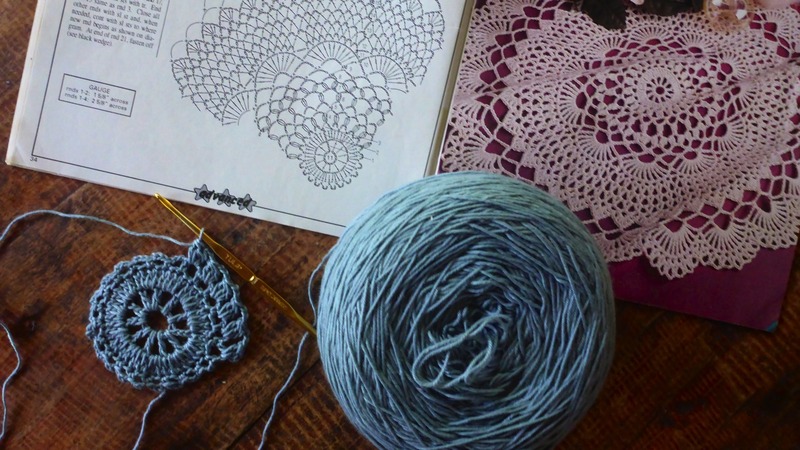 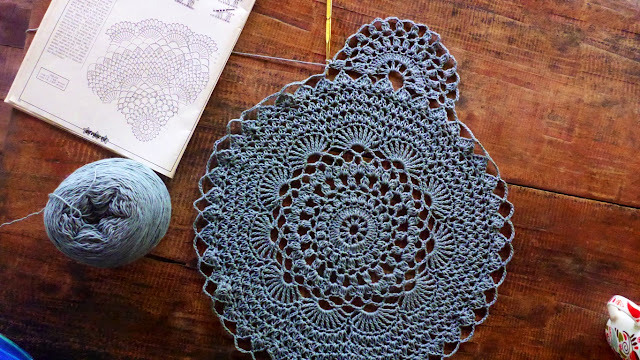 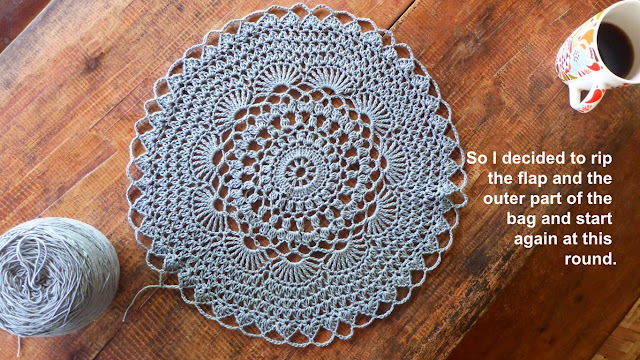 I chose this doily because it's big, beautiful and doesn't have too many large holes. 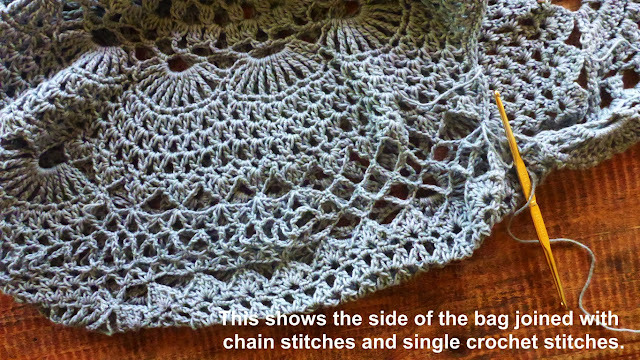 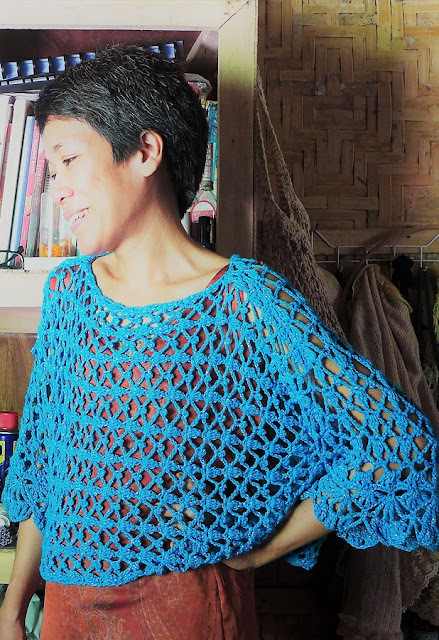 I am using 3mm hook and 6-ply cotton yarn. The bag will need a lining for sure. 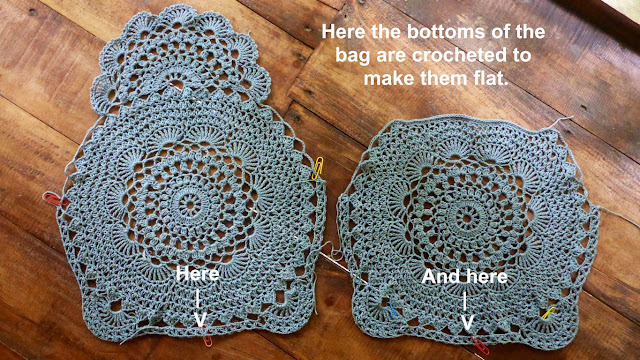 A couple of modifications will be needed later - first, to make the shape, the bag seems to taper towards the top and bulge at the bottom, is there a gusset? Second, to make the scalloped trim flap and figure out how the bag closes (I see a drawstring at the opening). 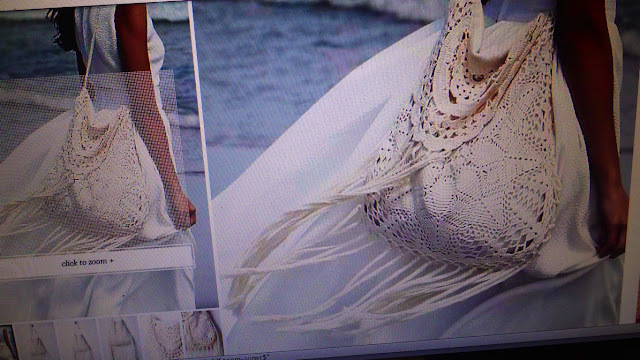 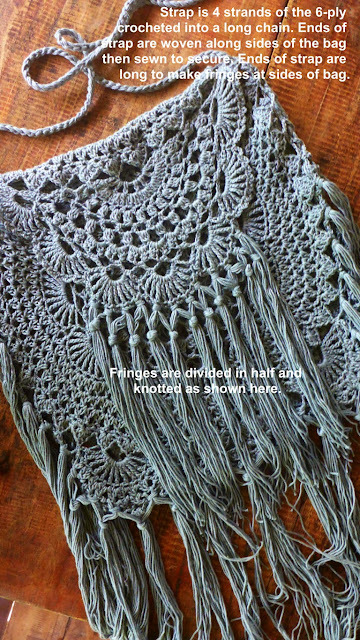 Third, to make the fringed accents along the bottom of the bag, and Fourth, to make the bag strap. 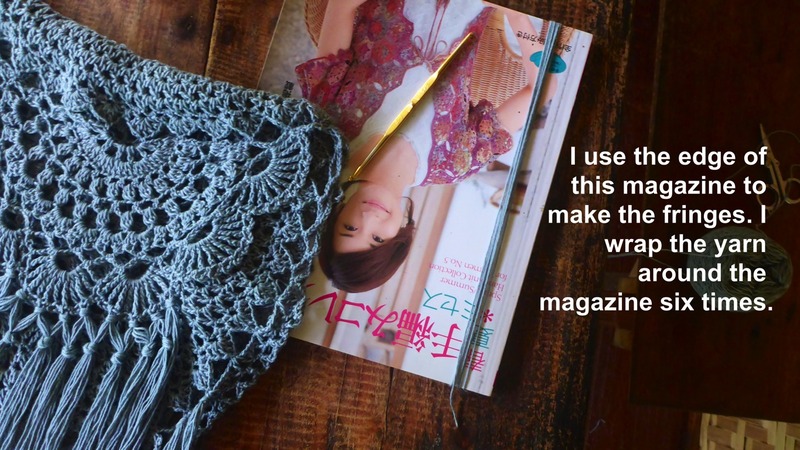 I love your thinking that goes into a project. I love that you take us through this thought process with all the trials before your finished project. Thank you for appreciating that, Laurie!